Driving in Spain: Back on the Throttle! 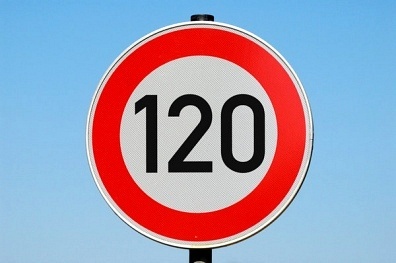 The Spanish Government has announced that the speed limit on the country’s motorways will revert to 120 kilometers per hour from July 1st. Earlier in the year, the maximum speed limit was reduced to 110 kilometres per hour in an attempt to cut fuel consumption after oil prices soared due to unrest in the Middle East. Following the recent drop in oil prices, the Cabinet no longer believes that the lower speed limit is necessary. However, this decision to change the speed limits on the motorways back to 120 kilometres per hour just three months after lowering them has led to some debate in the Spanish Press, particularly as the cost of changing the signs alone will be in the region of 230,000 Euros. This is because the new limit stickers, which were placed over the original signs, cannot be removed without damaging the signs. Therefore, new stickers with the 120 limit will be placed over the old ones repeating the cost of the original sign changes. I´m as surprised that the decision has been made to revert to the higher speed limit, as I was that most people adhered to the new lower limit. At least it should make someone happy! What do you think? Should the government have kept the maximum speed limit at 110 kph?